A classic Italian bolognese, sometimes referred to as ragù, is a meat based sauce. It’s ideal to serve over cooked spaghetti noodles or used to prepare lasagna. Often times a bolognese is made with aromatic vegetables that are cooked & deglazed with wine. Plum tomatoes & just a bit of tomato paste are added along with a combination of meat, typically beef & veal or ground pork. Although it may be served or used right away, the flavors truly develop when left to meld in the refrigerator for a day. 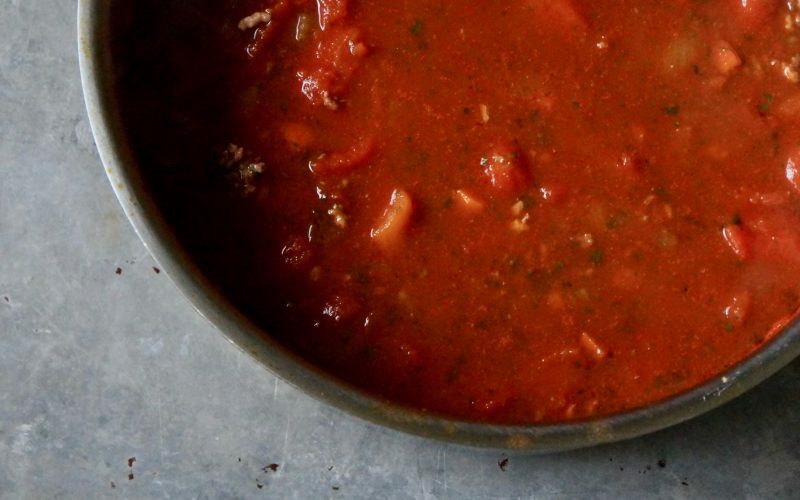 Learn how to prepare this traditional sauce originally from Bologna, Italy that your family will rave over. Crumble the beef & the pork in a Dutch oven & sprinkle with 1 teaspoon salt. Cook the meat over Medium-High heat until no longer pink, about 8 minutes. Drain & set aside. 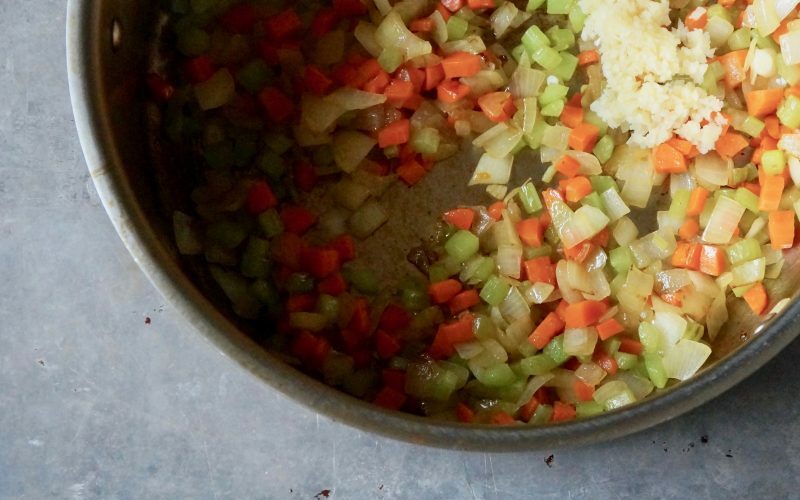 Sauté the onions, the carrots & the celery in the same Dutch oven in hot oil over Medium heat until softened, about 8 minutes. Sprinkle with 1/2 teaspoon salt. Add the garlic & cook until the fragrant, about 20 seconds. Deglaze the pan with the wine & allow the steam to subside. Stir in the tomato paste, the tomatoes & the water. Bring to a boil; stir in the oregano, the parsley, the crushed red pepper flakes, the black pepper & the remaining 1 teaspoon salt. Simmer the sauce on Medium-Low 1 hour, stirring occasionally. Use as directed in specific recipe applications. There are many simplified versions of this concept that grace American tables daily. 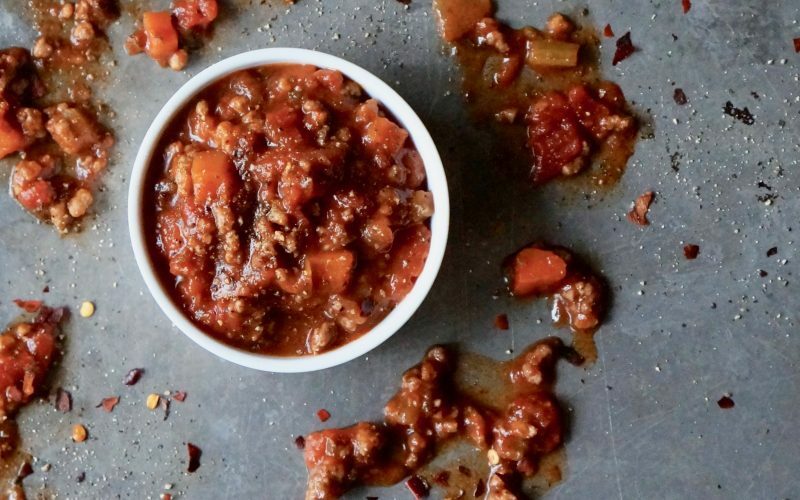 The most basic formulas rely on prepared sauces whereas cooked ground beef is added but if you’re not adding much else, you’re truly missing out. Sauté a bit of onion & garlic when browning the meat & be sure to add freshly chopped basil or oregano to instantly boost the flavor. A little red wine is added to the Classic Bolognese which gives the sauce robust depth. 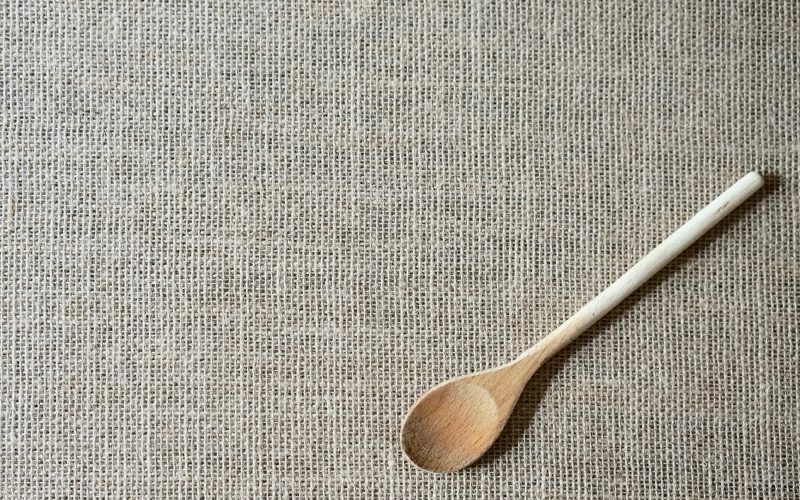 Consider using a splash here & there when using other prized recipes, too. Crumble the beef & the pork in a Dutch oven & sprinkle with 1 teaspoon salt. Cook the meat over Medium-High heat until no longer pink, about 8 minutes. Drain & set aside. 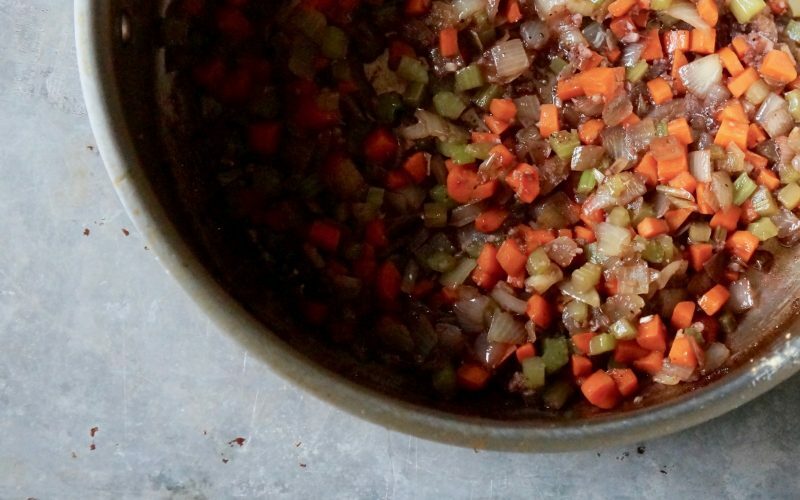 Sauté the onions, the carrots & the celery in the same Dutch oven in hot oil over Medium heat until softened, about 8 minutes. Sprinkle with 1/2 teaspoon salt. Add the garlic & cook until the fragrant, about 20 seconds. Deglaze the pan with the wine & allow the steam to subside. Stir in the tomato paste, the tomatoes & the water. Bring to a boil; stir in the oregano, the parsley, the crushed red pepper flakes, the black pepper & the remaining 1 teaspoon salt. Simmer the sauce on Medium-Low 1 hour, stirring occasionally. 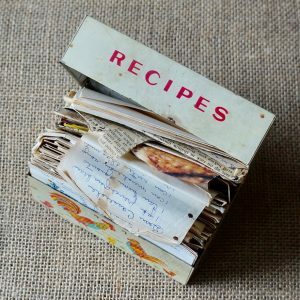 Use as directed in specific recipe applications.